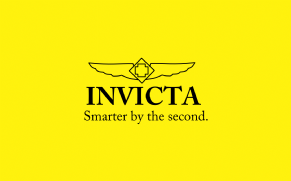 Latin for "invincible", Invicta was founded in La Chaux-de-fonds, Switzerland in 1837 by Raphael Picard, who believed that fine Swiss timepieces could be offered at modest prices. For more than a century, the company has created distinctive manual and automatic winding pieces. In 1991, descendants of the Picard family reaffirmed the company's founding principle, and the invigorated Invicta has been growing ever since with one of the most widely diverse collections of precise Swiss timepieces on the market.